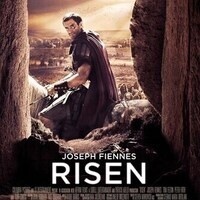 Two Roman soldiers must find the body of Jesus Christ in order to prevent an uprising in Jerusalem. But one of them soon undergoes a crisis of faith when he witnesses miraculous events during their investigation. Directed by Kevin Reynolds. 2016. Starring Joseph Fiennes, Tom Felton, Cliff Curtis, Peter Firth, Mish Boyko. Rated PG-13, 108 minutes.